Cooper, K. and Tate, A. (2013), Learning about artificial intelligence the interstellar way, Principium, Issue 4, Page 4, March/April 2013, Institute for Interstallar Studies. 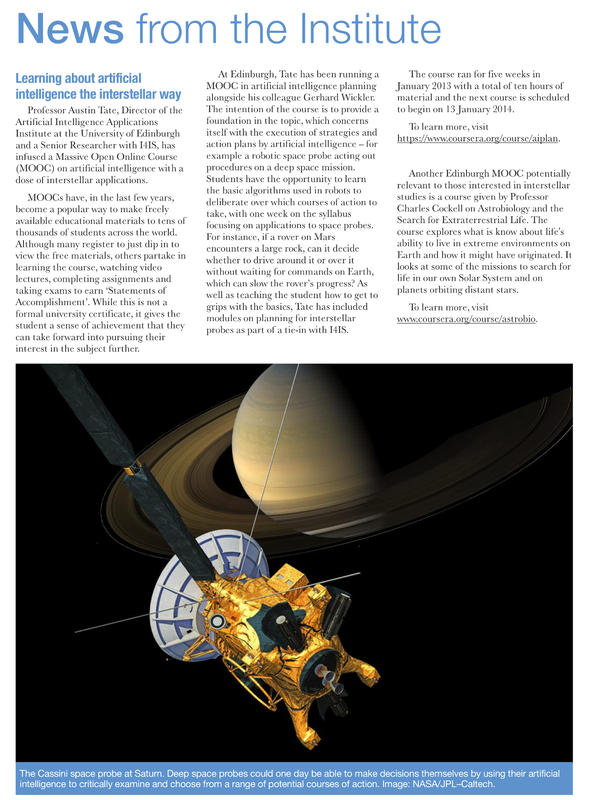 This entry was posted in Space and tagged AIPLAN, I4IS, MOOC, Space. Bookmark the permalink.